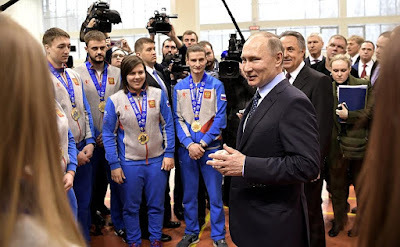 Vladimir Putin visited Biathlon Academy multipurpose sports center in Krasnoyarsk and met with the winners of the 28th Winter Universiade 2017. The President toured the sports complex and talked with Universiade medalists. 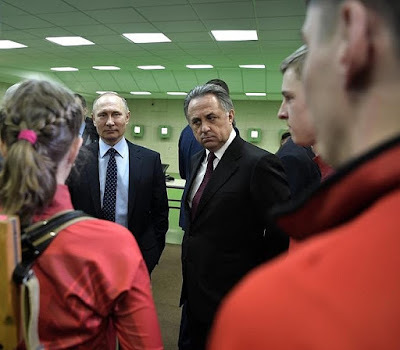 Vladimir Putin visiting Biathlon Academy multipurpose sports center. Winter Universiade 2017 took place in Almaty, Kazakhstan between January 29 and February 8 under the auspices of the International University Sports Federation (FISU). The Universiade competition schedule featured eight statutory and four supplementary disciplines. Russia dominated the medal tally with a total of 71 medals, including 29 gold, 27 silver and 15 bronze medals. 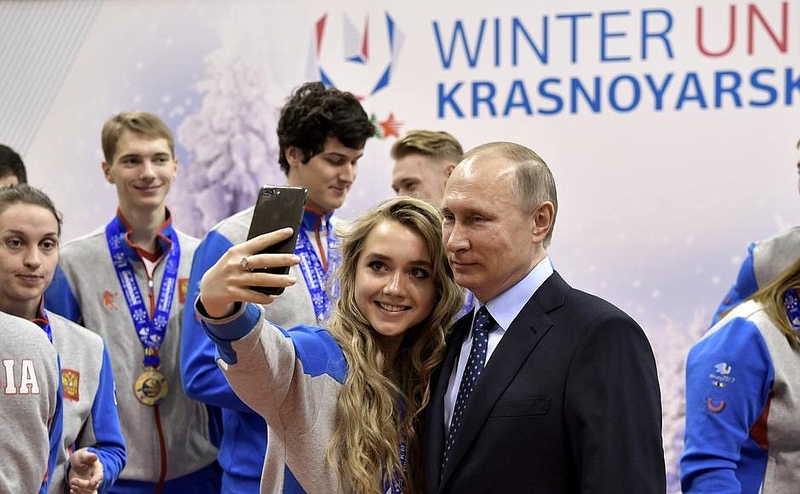 President Putin thanked Russia’s national student sports team for the high achievements at Winter Universiade 2017. 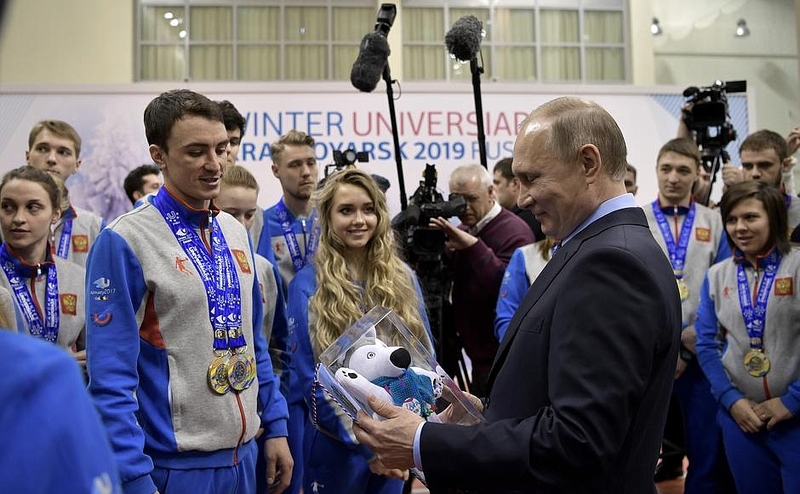 Earlier, the President sent a congratulatory message to Russia’s national student sports team saying that the athletes were worthy representatives of Russia at this prestigious international competition, earning a record-high number of medals at a winter Universiade. 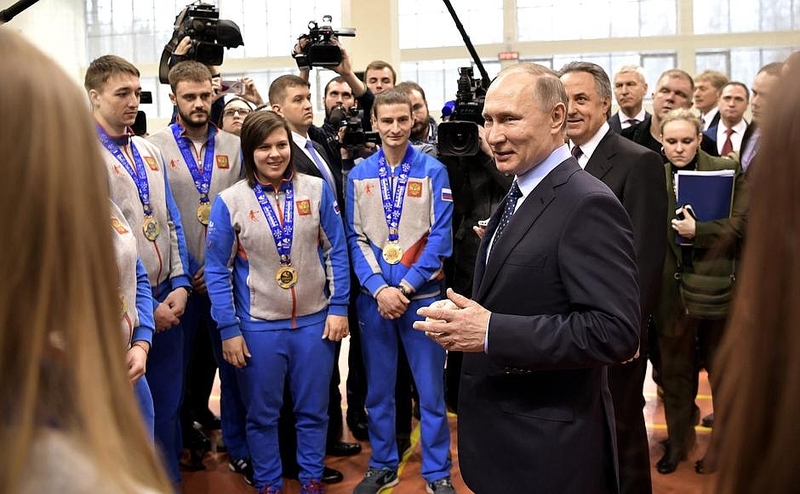 Vladimir Putin at a meeting with the winners of Winter Universiade 2017. 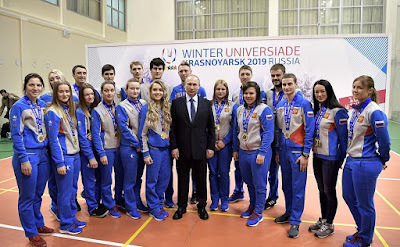 Russian President with winners of Winter Universiade 2017. 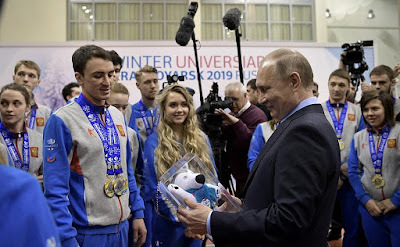 President Putin and winners of Winter Universiade 2017. Russian President with the winners of Winter Universiade 2017. 0 Comment to "Vladimir Putin met with the winners of Winter Universiade 2017"